Electrolux -origo Boat Stove Alcohol Fuel And Electric, Glass Top Cover. Condition is Used. There is some fine scratches in the glass top, and there is plastic missing on stop button. This stove works and functions, good usable condition. Used Norcold Fridge. Works on both AC and DC power. This fridge has been tested and works great! 20 PCS 6000K Pure White BA15D 5050 27-SMD LED. Cross Reference: BA15D 1076 1142 68 90 1004 1130 1158 1176 1178. LED Type:3-CELL 5050 SMD, Each LED has 27 SMD in total. LED Color:Pure White(6000K). Marine Boat Cabin Interior Light Bulbs 1076 1176 1142. You get this Weems & Plath box as well. discoloration of brass all over here & there, look at the pictures carefully. Weight: 3 lbs 7 oz (1559 g). I will do anything within reason for your experience to be a satisfying and happy one. 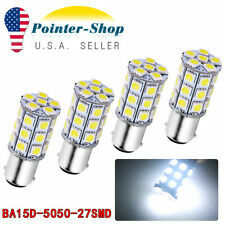 4 PCS Super White BA15D 5050 27-SMD LED Light bulbs Application For Marine Boat Interior Light Light 12V. Cross Reference: BA15D 1076 1142 68 90 1004 1130 1158 1176 1178. - Make sure BA15D (one " "one" - "on the bottom) is the correct application type of bulb before placing order. Dual burner alcohol stove for marine use. Have never used it. Beautiful condition. All Magma 12" x 24" Rectangular Gas Grills. The side with the SS handrail on it is in very good condition. The rail is 40” at the bend. This is a teak veneer finished door with teak trim. The side of the door that does not have the hand rail is faded from the weather. Perfect for Car, Truck, SUV, Boat, RV, Van. Color: Black. Due to light and screen difference, the item's color may be slightly different from the pictures. DOOR THICKNESS RANGE - 10.000-12.700 mm (0.39-0.50 in). Boat Marine Seat Cushion 47" x 17"
Boat Accessories: Deck-Cabin. Boat Inboard I/O Engine Parts. Boat Outboard Engine Parts. (WHSE Bin location: Cushion #11). (3) Paint and chemicals. (1) Open software. (below the price of the item). 4 PCS Warm White BA15D 5050 13-SMD LED 12V Cabin Marine Boat Interior Light Bulbs 1154 1142. LED Type: BA15D 13 SMD, 5050 Chip. Cross Reference: BA15D 1154 1142 68 1004 1130 1158 1176 1178. Application: Boat Light; Marine Light; Interior Light,Tail Brake Stop Light, Common use,ect. 2 PCS Super White BA15D 5050 27-SMD LED Light bulbs Application For Marine Boat Interior Light Light 12V BA15D 1076 1142 68 90 1004 1130 1158 1176 1178. Cross Reference: BA15D 1076 1142 68 90 1004 1130 1158 1176 1178. 4x Pure White BA15D 5050 13-SMD LED Light Bulbs Marine Boat Cabin 1142 1076 1178 1176. Cross Reference: BA15D 1154 1142 68 1004 1130 1158 1176 1178. LED Type: BA15D 13 SMD, 5050 Chip. LED Color: Pure White (6000K). Used Norcold Fridge. Works on both AC and DC power. This fridge has been tested and works. DOOR THICKNESS RANGE - 10.000-12.700 mm (0.39-0.50 in). POWDER COAT WHITE. MANUFACTURER PART NUMBER 83BISS. We are located in one of the largest pleasure boating areas in the United States. source of most of our inventory. Combined boating experience of over 100 years. One of us will probably know what you are talking about. 4 PCS Super White BA15D 5050 27-SMD LED Light bulbs For Car Marine Boat Light 1142 1076 1178 1176. This 5050 SMD LED Bulb would be Brighter than the traditional bulbs. And this type BA15D Led bulbs is of Low comsuption useful in Boat Marine etc. Listed is a Kenyon Model 214 stove. This White cup holder is a perfect addition to your Poker, Blackjack or Pool tables, Boats, RV's, Patios, Cars, decks, trailers or tables. It is a drop in style drink holder, all you have to do is cut a hole into the surface you wish to mount the cup holder. ( KW / FLOOR 3 / 9052183 ). 4 PCS White BA15D 5050 27 SMD Marine Boat LED Interiro Light Tail Brake Bulbs 1142 1076 1176 1178 12V. Cross Reference: BA15D 1076 1142 68 90 1004 1130 1158 1176 1178. - Make sure BA15D (one " " one " - " on the bottom) is the correct application type of bulb before placing order. 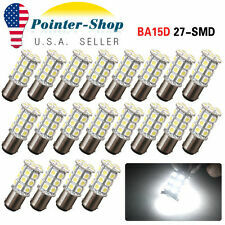 10 PCS Pure White BA15D 3-cell 5050 27-SMD LED Light bulbs. Pls check before buy. Cross Reference: BA15D 1154 1142 68 1004 1130 1158 1176 1178. - Before you buy this Item make sure that you use the BA15D instead of BAY15D. This is a 2 panel teak bifold door. The continuous hinges are aluminum. The doors are teak veneer finished and have teak trim. Both panels (doors) 10 small louvered vents as seen in the picture. If you prefer a different carrier or service let us know we are flexible. 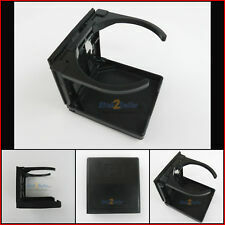 It is a drop in style drink holder, all you have to do is cut a hole into the surface you wish to mount the cup holder. This White cup holder is a perfect addition to your Poker, Blackjack or Pool tables, Boats, RV's, Patios, Cars, decks, trailers or tables. This diesel-powered cabin heater was removed from my sailboat. I found that I don't really need a heater in Southern California or anywhere I care to sail from there. I was running it (once or twice) out of the little tank shown in the pictures, but the tank cracked and is NOT included with the sale. Blue Cup holder With 8LED. Boat Cup Holder. Boat Rod Holder. Boat Ladder. Boat Light. Depth of Cup: 3.15 ". The Car Light. Cash is accepted, but only upon local pick-up. 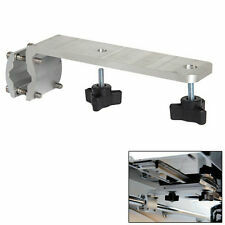 Designed to fit over a 3/4" windshield rail. We're your port for thousands of hard to find boat parts, original manufacturer's parts and marine surplus. Check out this deal! Sold as a 10 piece set. THIS SOLID WOOD DOOR HAS NO CRACKS AND DOES NOT NEED REFINISHING. 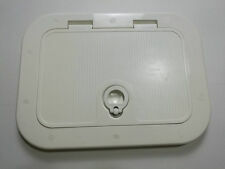 Strong design access hatch with positive O-ring seal. Manufactured of high quality ABS material for long life. Impact and corrosion resistant. Twist/screws out easily. I have great prices and a large selection of Pan Head Screws. New Stronger Design Access Hatch with Positive O-ring Seal. Used extensively in the marine and appliance industry. Cut out size is 4-1/2". PO Boxes are OK.
5 " Hatch cover. New Stronger Design Access Hatch with Positive O-ring Seal. Used extensively in the marine and appliance industry. Cut out size is 5-1/2". PO Boxes are OK.
We are located in one of the largest pleasure boating areas in the United States. Combined boating experience of over 100 years. One of us will probably know what you are talking about. source of most of our inventory. Woofer(in,mm) 6-1/2, 160. 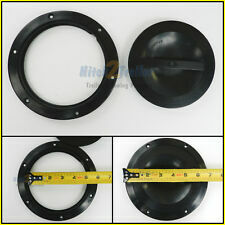 Pair of Kicker 6.5" 4-Ohm 2-Way Coaxial Marine Speakers. In the market for high quality products?. Don’t settle for less than you deserve. The Kicker speakers are strong for marine use yet easy on the ears. This is a set of teak cabinet or storage doors. They are teak veneer with teak trim. Both doors are in very good condition. No scratches or gouges. If you prefer a different carrier or service let us know we are flexible. Lanzar - AQR80B. The Lanzar Aquatic Waterproof Marine Stereo Radio Receiver System has the ability to stream your audio wirelessly. Built-in Bluetooth technology allows you to instantly play music via your smart devices -- quickly and easily! Two tone marine vinyl , Velcro attachment, chrome trim rings, small crack on inside of a cup holder and foam at the bases of cup holders curling slightly...neither affect use. NEW SOUTHCO MOBELLA BOAT SEALED BLACK SLIDING CABIN ENTRY DOOR LATCH LOCK - MF-02-110-50. DOOR THICKNESS RANGE - 10.000-12.700 mm (0.39-0.50 in). POWDER COAT BLACK. Maximizing the use of your boat's interior space is essential before leaving shore. Boat galleys, also known as ships' kitchens on larger vessels, require specialized equipment and techniques. Proper ventilation within the interior space is critical for comfort and for safety while on the water. How is cooking in a boat galley different? Lacking electrical appliances at sea, all tasks must be done by hand. The grill or stove surface and any oven are all powered by propane gas; the small size of each of these components limits the amount of any food you can cook at the same time. Movement through the water and even at anchor means all items must be restrained; the galley stove is also gimballed, allowing it to move freely on an axis with the movement of the boat. Limited water supply at sea for all uses of water creates challenges in both prep and in cleaning in the galley. What kind of refrigerator is used in a galley kitchen? The size is much smaller than a typical kitchen refrigerator, and is more comparable to a small RV refrigerator in size and storage capacity. Boat refrigerators usually do not have a freezer. Boat refrigerators are powered by propane, batteries, or by AC current available when docked at a marina. Do you need an exhaust fan for your boat galley? Power source - Will the exhaust fan be wired to the boat's generator or will it draw on solar power? Marine model - Make sure the exhaust fan is specifically manufactured to endure marine conditions. Seal - Make sure the opening for the fan on the exterior of the boat can be fully sealed in the event of rough or high seas. What upgrades improve storage and comfort in boat interiors? There are several upgrades that improve the interior space of your boat's cabin, including adding a V-berth to a corner for more sleeping areas, adding LED lighting, as well as captain's beds and hidden storage under seating.